Rarely a week goes by without a news report of another tragic death due to the killer condition sepsis. Also known as blood poisoning or septicaemia, sepsis is an extremely serious, often fatal condition that kills around 52,000 people in the UK every year. This makes it vital that anyone in a caring role, be it a parent, nanny, carer or professional understand the signs of sepsis and when to seek and provide urgent care. Sepsis is caused when the body responds abnormally to germs, such as bacteria when they get into the body and the person’s immune system attacks its own tissues and organs. 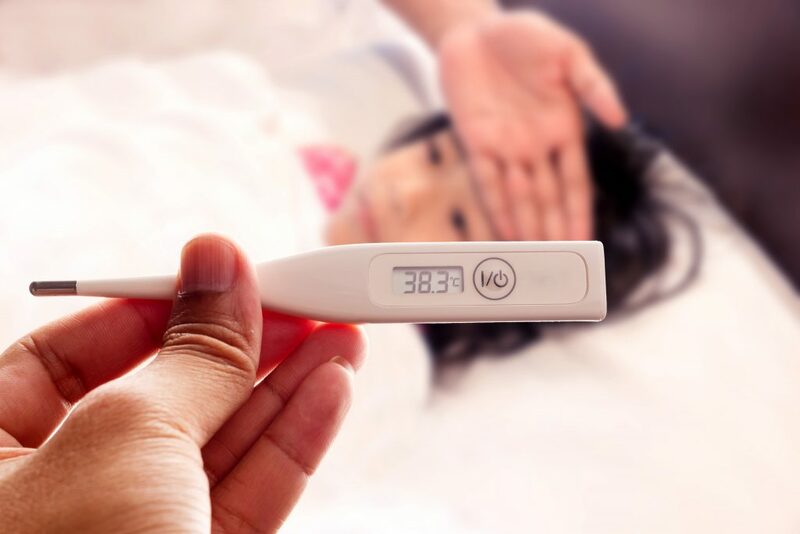 It can result from any infection, even something as minor as a small cut or bite, sore throat, chest or urine infection. If not treated quickly with fluids and antibiotics, sepsis leads to shock, multiple organ failure and death so it is vital that you know what to look out for. Being very young, recently unwell or old, diabetic, pregnant or on long-term steroids puts you at a higher risk. 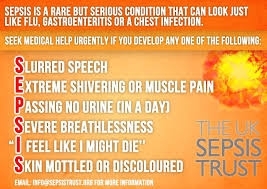 The UK Sepsis Trust website has six signs for adults and six for children (plus infants) that you need to be aware of.